Well-Being: What a Concept! 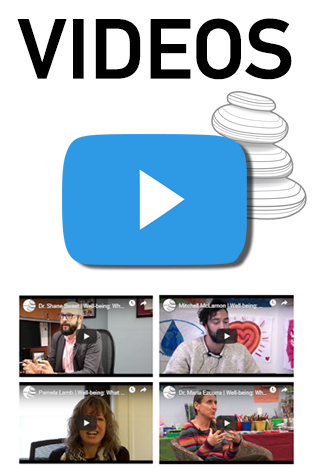 is a capsule series highlighting the multidimensional aspects of well-being, featuring interviews with affiliates of the Institute for Human Development & Well-being at McGill University. Discussion topics range from the importance of cultural traditions in communities, to the benefits of peer connections in hospitals, to ways in which gardening can bring people together. The range of these short features highlight just how multifaceted the concept of well-being truly is. You can view this series as a playlist on Youtube, or simply click on each capsule below. Video of Pamela Lamb | Well-being: What a Concept! Video of Mitchell McLarnon | Well-being: What a Concept! Video of Dr. Tara Flanagan | Well-being: What a Concept! Video of Dr. Argerie Tsimicalis | Well-being: What a Concept! Video of Dr. Annett Körner | Well-being: What a Concept! Video of Dr. Jaswant Guzder | Well-being: What a Concept! Video of Dr. Naomi Nichols | Well-Being: What a Concept! Video of Dr. Lindsay Duncan | Well-being: What a Concept! 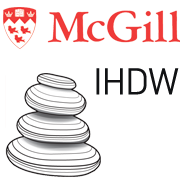 On Saturday, February 18, McGill’s Institute of Human Development and Well-being (IHDW) sponsored a panel at the Provoking Curriculum Conference 2017, held at the Faculty of Education, McGill University. This panel drew together academics at various points of their careers to share their stories in relation to mental health and well-being. Panelists reflected on what it means to flourish in the academy, with the hope that these stories can help to shape a curriculum of humanity in and beyond the university. The panel included Claudia Eppert (U Alberta), Ingrid Johnston (U Alberta), Bronwen Low (McGill), Adrian McKerracher (Columbia), Nicholas Ng-A-Fook (U Ottawa), and Lisa Starr (McGill).